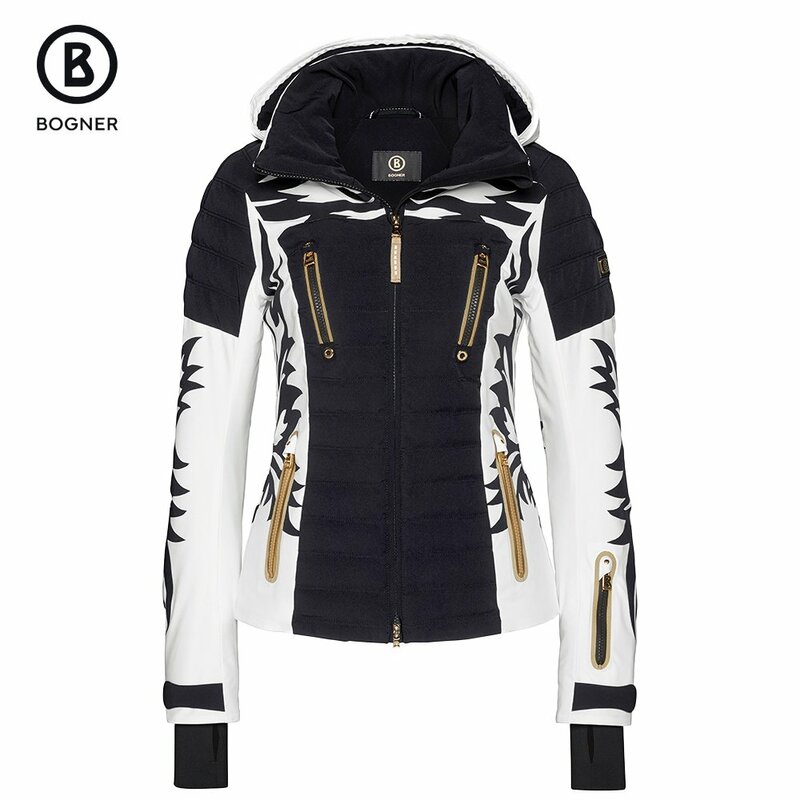 Four-way stretch fabric and tons of ski-friendly features define the modern and upscale Bogner Paula-T Ski Jacket. Whether you're carving on icy days or blasting your way through fresh alpine powder on a bluebird morning, this jacket has you covered. It's ideal for all but the coldest winter days with 60g insulation and a 20K waterproofing rating to keep you dry in heavy, extended snowstorms. Even the seams of this posh ski jacket are taped to prevent leakage, even after season after season of wear. With more ski features than most winter jackets and a high-end, fashion-forward look, the Paula Jacket stuns on the hill while also keeping you warm and dry. For a more luxurious look, consider the optional Bogner Fur Hood Trim, which may be ordered separately.